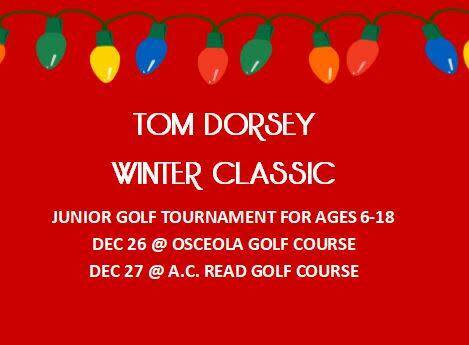 Registration is now open for the 25th Annual Tom Dorsey Winter Classic Junior Golf Tournament. There are divisions available for ages 6-18, boys and girls. 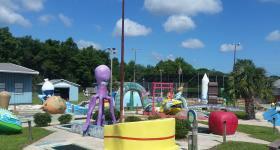 This is a two-day family-friendly junior golf tournament that is tons of fun! 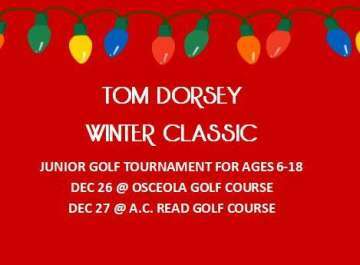 Round one will be played at Osceola Golf Course. Round two will take place at AC Read Golf Course and will be followed by a pizza party and awards dinner!